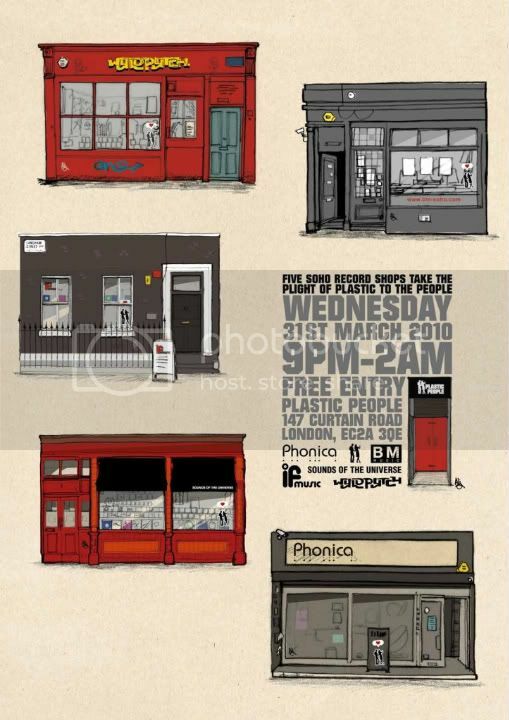 Five Soho record shops take the plight of Plastic to the people on Wednesday 31st March 9pm - 2am. 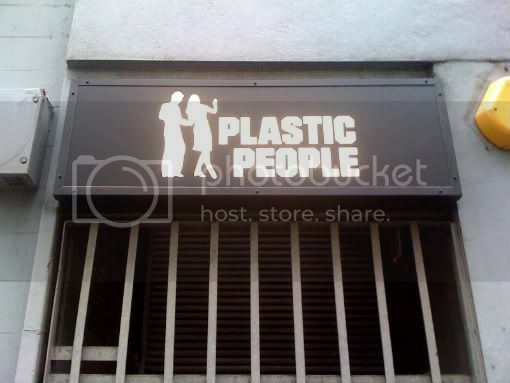 (Free Entry). The flyer was made by the wonderful Ali Augur, the designer behind Plastic People's original logo, which is now above the door, the original "Balance" flyers, and "Floor to Wall" a book of Plastic People flyers from 1998-2003.